What side of the debate were you on this fall? While much of the country is focused on the mid-term elections, two opposing camps of gardeners are lining up this fall. Each side has compelling reasons why they are right and the other side is wrong. There doesn’t seem to be much middle ground. One side is more, you might say, traditional in their approach to preparing perennial beds for winter. Those gardeners remove all of this year’s dead plant material from the garden and dispose of it by composting or other means. They claim that removing dead material now, in the fall, creates a clean slate for new growth in the spring. Tender new growth will less likely be damaged than if you try to remove last year’s growth when the plant is actively growing in the spring. Some gardeners prefer to clear the debris from their garden in the fall. The other group says, “We care about birds”. They leave all of their plant growth untouched in the fall. All of that tangled up mass of plant stems provides valuable cover for wild song birds that over-winter. This group feels they have a responsibility to the wider ecological community when gardening. Many perennials produce seeds each fall. 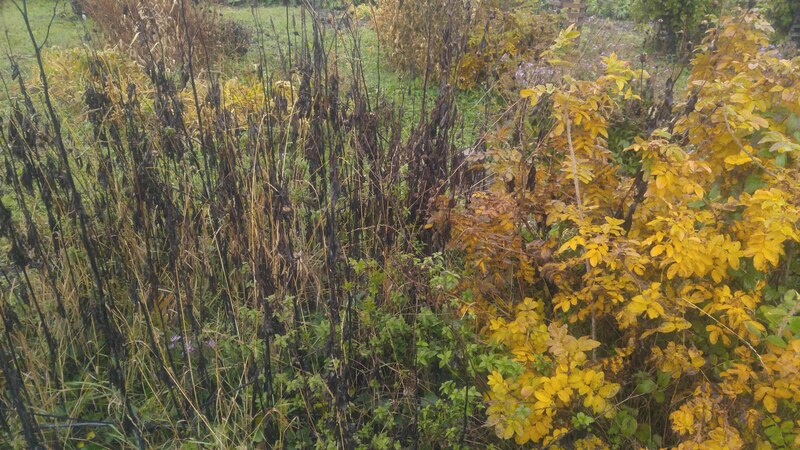 Leaving those old flower stalks up, they say, provides an addition food source for birds. Some gardeners prefer to leave garden debris alone until spring. Leaving the garden alone in the fall has some other, less tangible benefits. All of that debris tends to collect and hold snow in place providing a natural insulating blanket. The protective snow cover can reduce the chance of freeze damage or frost heaving in some years. 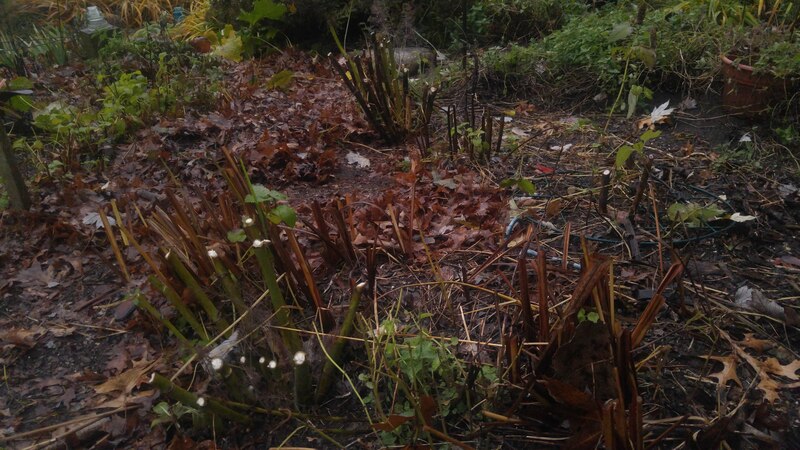 Not only that, the stalks provide an attractive visual element to the winter landscape as well, claims the leave-it-be group. Gardeners on the other side counter those arguments claiming by the time they start clearing their gardens, the birds have already eaten virtually all of the seeds. Their small plot of flowers would not provide any really usable cover for birds either, they say. And who wants to look at a messy garden area all winter anyway? Not only that, spring is busy enough without having to do all the work you should have done last fall. So every fall die-hard gardeners endlessly debate the merits of their position. I’m not really sure how often one breaks ranks and joins the other side, probably not very often. Posted on November 13, 2018 Author rdluzenCategories Flowers, Garden PreparationTags fall garden, fall garden clean up, perennial flowersLeave a comment on What side of the debate were you on this fall?